It’s been a little damp here the past couple of days and unseasonably warm for December. Just really odd weather, cold and chilly one night and then it shoots up 20 degrees the next day. Now the weather folks are saying snow tomorrow! Huh?! Is this a sign of a frigid winter to come? This place is no-nonsense though. 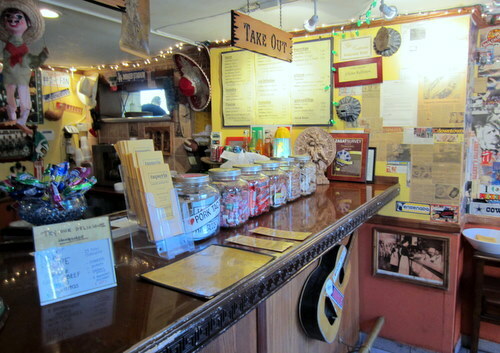 You order at the counter, you grab a seat, the food is brought to you, eat and split. That’s it, nothing fancy, awesome food and it’s BYOB. Oh and they have their public list of 10 rules or commandments about not serving up “guacamole side shows” or fajitas, and foregoing the bright Mexican decorations which many have come to expect at Mexican establishments but not here which is fine by me. All I want is great food and pleasant service. Let’s start with the soup. 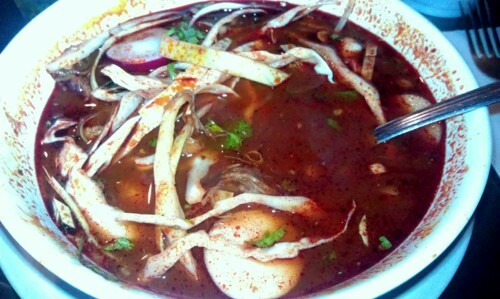 The Pozole is a must and one of my favorites but unfortunately it’s only offered on weekends. The Pozole is a red broth soup made with pork, cabbage, hominy and served with sides of diced onions, cilantro and lime for extra toppings. 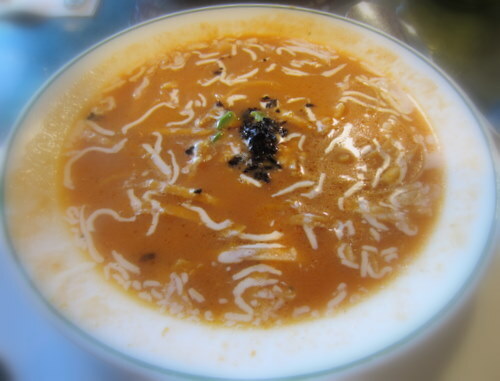 This soup is spicy hot and will definitely get your sinuses cleared! It’s on my list of dishes I need to learn to make. The Tortilla Soup is pretty awesome too, it’s a little creamy which is different than what I’m use to making but the flavor is so good and comes topped with crema, avocados and smokey, roasted peppers. I can’t wait to go back for more. I don’t think I’ve ever had anything there that wasn’t delicious. 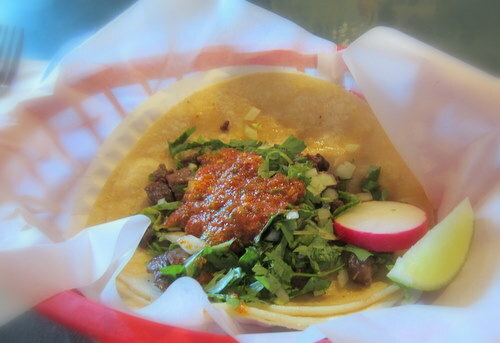 The tacos are so good and are made using basic ingredients…meat, onions, cilantro and a homemade spicy salsa. That’s it and that’s all you need. Good food on a cold, chilly, snowy, rainy, sunny or any day? Check. OK, now I need to go get some!